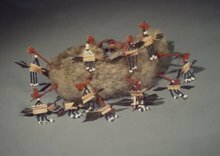 Item number 06.331.8076 from the Brooklyn Museum. This type of headdress is restricted to women wearing it. 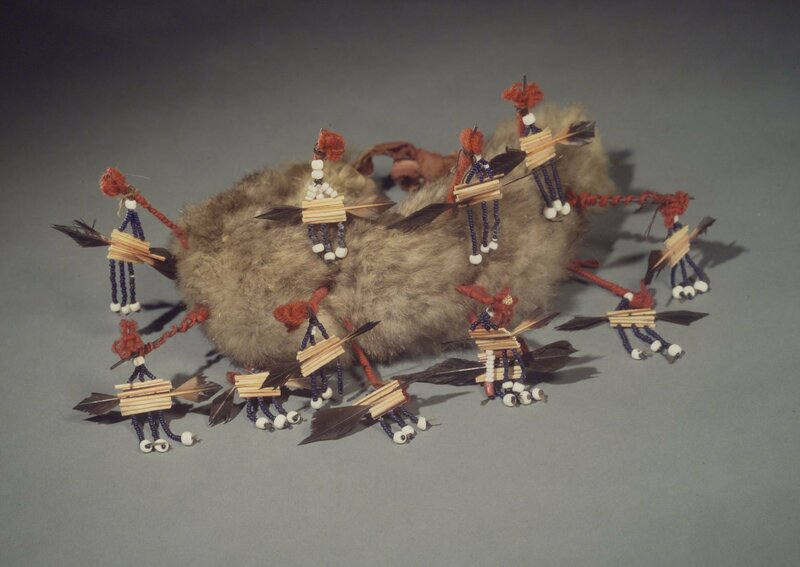 The quill decorations are commonly used on many dance regalia articles in southern California.The decorations mounted on slender wires will move as the wearer moves.